A surprise mid-week update for you, my colleagues! Did you think we’d forgotten about you? No, we’ve just been busy busy with the never-ending list of last-minute details that come along with making an amazing book for you all to enjoy very soon! And we here at Mischief Central know you’d never want us to leave out the amazing last-minute details. 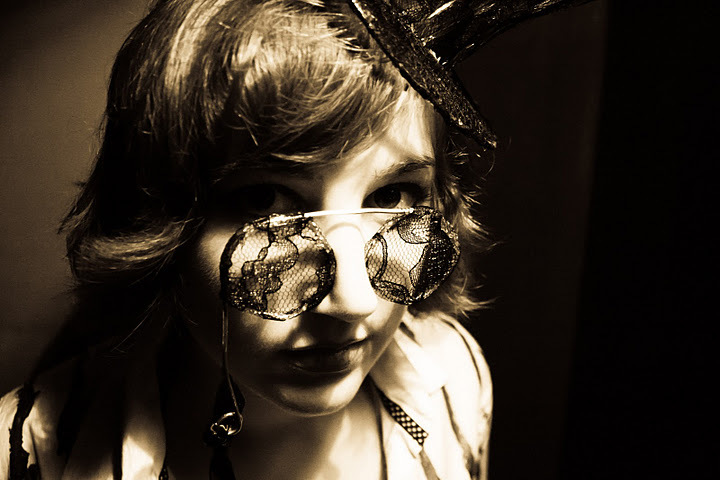 To tide you over, I’ve dug back into the trunk that started it all, to share our very own Dr. Erma Melanogaster’s tale of longing and anticipation. Enjoy! Greetings again, and I hope this letter finds you well. It was such a delight to chat after your presentation last month, and certainly hope you are still as excited as I am at the prospect of a collaboration. I’ve just set up the most state-of-the-art laboratory in beautiful Seattle, Washington. I’m sure you’ll find this coast easily as inspirational as your current one, when you do decide to relocate. I’ve already begun drawing up some plans for shared equipment spaces, testing chambers, and the like, and am eager for your input. Please write as soon as your busy schedule allows. I understand your concern with relocating your current research efforts across the country, but let me assure you, all your supplies and equipment will be treated with the utmost of care. Need I remind you, I’m no stranger to handling sensitive apparatus. I’m sure you’ll absolutely love it here, and the work we produce together will more than make up for any lost time. Besides, I’ve just put up the most gorgeous blue velvet drapes in the small lab space – I do recall you mentioning a fondness for blue, yes? I’m sure I heard that somewhere. They’ll be perfect for our mutual experiments requiring a dark environment. My mind has been in even more of a whirl than usual dreaming up things we might discover together. So, you may cast your worries aside -all will be well once you join me here. Might I say, you are quite the tease, sir! You certainly know how to keep a lady’s… scientific interest piqued. All this talk of “but I hardly remember you” and “cease and desist” – you really needn’t play coy with me. We’re both mature, professional adults, in the prime of our life, at the cutting edge of our fields! Now is the time for bold action! Let the sad, simple masses worry about common sense, the rules of society and all that nonsense. Ah, you must know how you inspire me! Of course, we’ve all heard about your personal moral commitments. I must commend such a clever ploy to keep the lesser-minded ladies away. Should have thought of that one myself, as I’m fending off such a deluge of suitors these days. But rest assured, you are the only one to hold the coveted position in my heart and in my lab. Enclosed is a portrait of yours truly in the space we will someday share, so you might gaze upon it until that day. Theo called on me the other day, and simply can’t wait to meet you! I went ahead and labeled all your little shelves and cupboards, and got in a new sampling of tea that I can’t wait for you to try. I do hope you’re able to get on your way soon -I keep having to dust your workspace, and you know I hate dusting. Oh, but what am I saying? It’s really not a bother at all, when I have your arrival to look forward to, plenty of time to fit it in while the samples are condensing. Did you go ahead and contact the post office regarding your new address? The majority of my letters these past few months appear to be returning undelivered, which I’m taking as a sign of progress! Well, I must be getting back to it. Just wanted to check in while I had a few minutes. Making your favorite dessert tonight! If you too are a Tesla fan, I highly recommend taking a look at the Tesla Museum Fundraiser. Fans of Kickstarter, etc will appreciate the amazing prizes still to be had – you can even get your own saucy Tesla photo to gaze at. Though the funding goal has already been blown out of the water (horray! we know first hand what a great feeling that is), more fundraising will just to go making the museum that much better. I’m sure Dr. Erma would be thrilled… though she may have to view it from a legally-imposed distance. Three things are said about me. I’m a flirt, I like luxury and I like a challenge. I don’t want just any flirtation. I want one with style and elegance. I like the old fashioned type with a glance under veil. Where you catch their eye and then look away. What better way to draw the eye than with the luxury of lace. Lace is a luxury because it’s so unnecessary. Many design details support structure or have a role to play. Lace on the other hand is pure decoration. The work put into it is purely to catch the eye and draw it in. The end result is a testament to skill and patience. This pattern is not a simple mindless thing. It’s a piece to show off your skills and abilities. I hate finishing work, so this is designed to be knit without seams. The edging for the bottom is knit then the stiches are picked up to knit the body and finally the top edging is knit on. I created it to have mitered corners and for the repeats of the edging to match the repeats of the body so that you may adjust the size to your wishes. 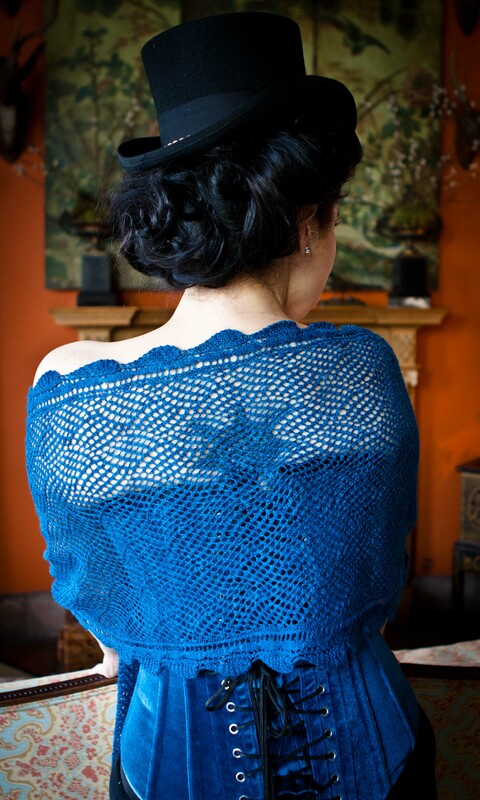 We show it here as a confection in laceweight yarn, but you can knit it with as many or few repeats as you wish and in any weight yarn. I even have a couple washcloths out of dishcloth cotton from testing the pattern out for myself. You may not be able to wear a veil in your day-to-day life, but a scarf for you neck or stole for an cool summer evening may suit you just fine. Who was that mysterious beauty? A more elegant wrap you may never find… just like the Lady wearing it. 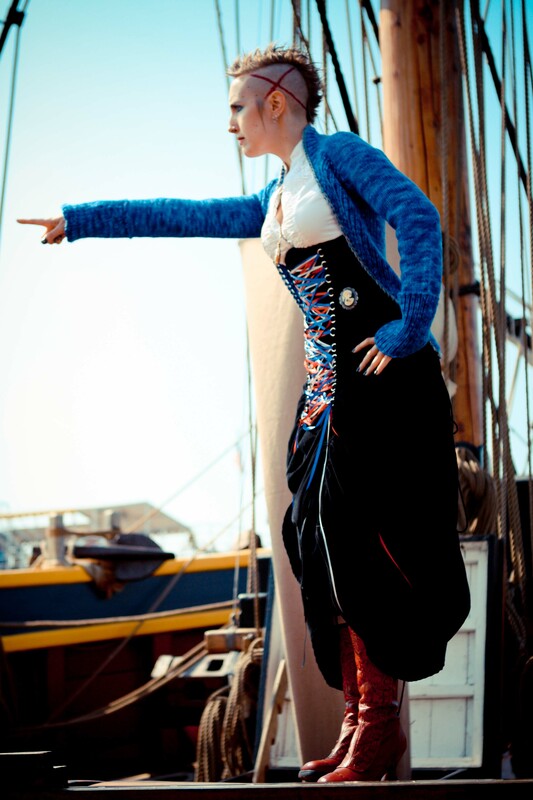 The idea for the knit corset swam around in my head for many years before finally coming to fruition with this pattern. I have always enjoyed the structure and texture of traditional cabled sweaters. They are so simple, yet so complex. It was fascinating to see so much movement and life come from the simple overlapping of stitches. 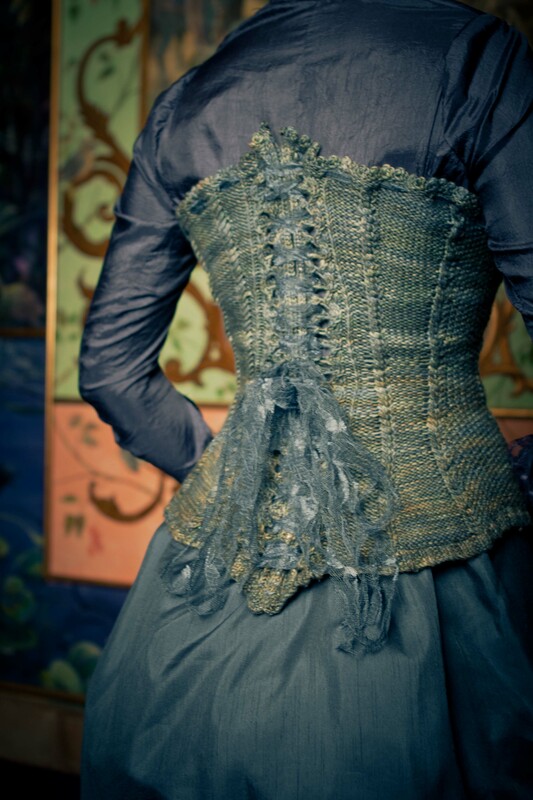 Similarly, the simple elegance and timeless shaping of traditional corsetry has always mesmerized me. It wasn’t until I got the idea to put them both together into one powerful piece that things got really exciting. I used a combination of textured stitches, twisted cables, complex cable latices, and open lace work to give the impression of steel boning. 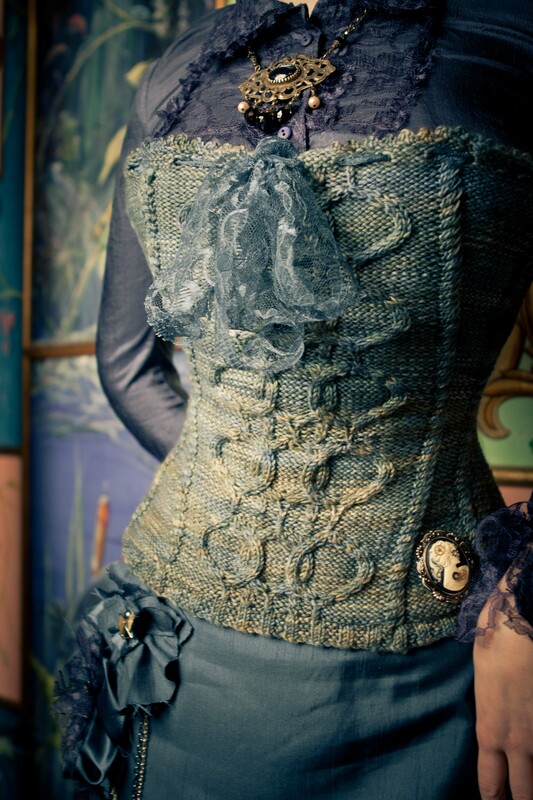 Additionally, this piece is fully adjustable to meet your exact measurements whether knit be worn over a laced corset or made as a striking bodice top. I hope you truly enjoy this historical juxtaposition as much as I do. Coming to you later this summer from Cooperative Press, and all of us here at Mischief Central. Here’s an in-depth look at two of the patterns, with another two to be revealed next Sunday. Enjoy! The Legacy Frock Coat was designed out of the most inspiring blend of elements- practicality combined with style. The cozy long sleeves and long tail provide coverage while the open front frames, flatters, and prevents overheating. The tail (which is adjustable to each knitter’s preference) solved a tricky fashion problem for me; I find low-rise pants comfortable to wear, but sitting in them can cause unwanted exposure. The Legacy Frock Coat sweater neatly solves this problem by covering just the back of the hips. The open front of the sweater makes it comfortably wearable in a variety of temperatures. The style, reminiscent of formal frock coats, lends a classy feel to the coat, making it appropriate as a formal coverup. It’s not fussy at all, and is also easily utilized for day to day wear. It looks smashing in bright saturated colors, and in self-striping yarns. I have multiple versions of this coat and plan to make many more. The pattern is easy to knit and customize to your exact measurements. 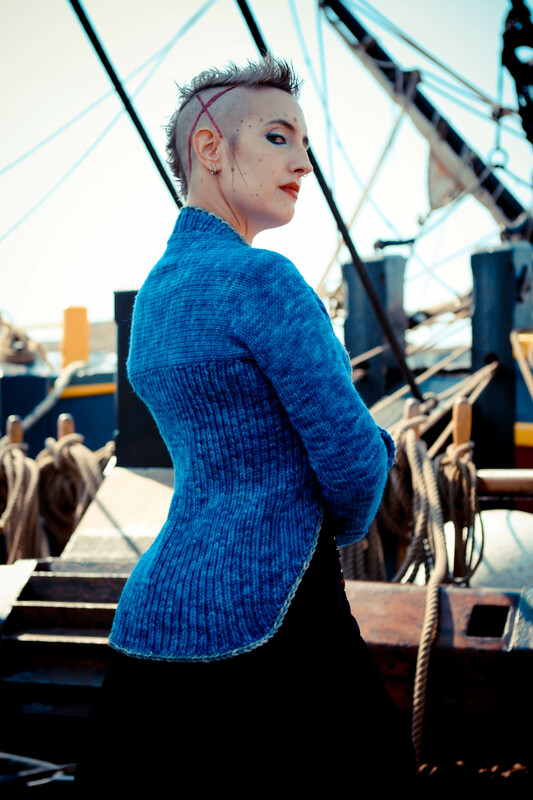 I hope that many knitters enjoy making and wearing this fine coat! I’ve always loved charted knitting designs; if you were ever a kid who drew on graph paper, or played with making pixelated characters on the computer, I’m sure you can relate. Absolutely anything you can draw out in little rectangles can be turned into a knitted garment, which pleases me to no end. I’ve also always loved the metamorphosing works of M.C. Escher, where one artistic element slowly turns into another, and into another, sometimes even morphing back around to the beginning. 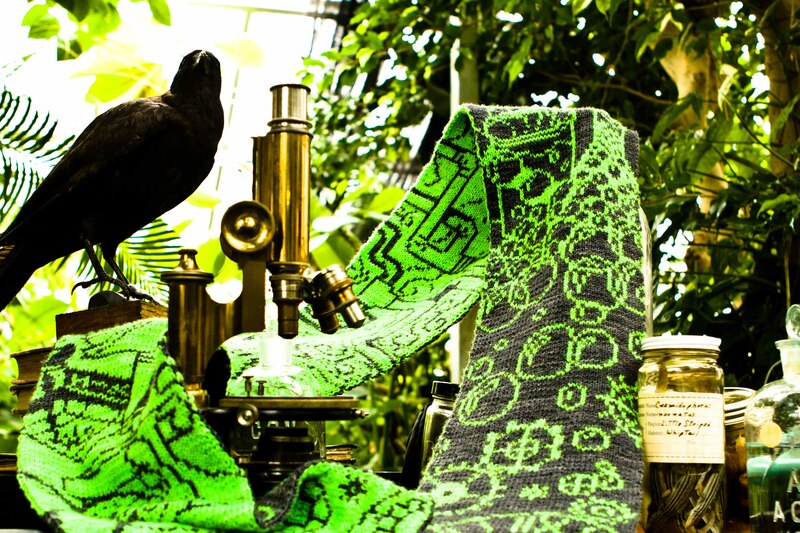 One fateful night, when pondering what a mad scientist might knit, those two elements fell serendipitously together and produced this scarf… all six feet of it. Yet another thing I love is the (in my option) underutilized technique of Double Knitting. With only a few extra tricks – included in the pattern – you can produce a gorgeous, flat, non-rolling, reversible, warm and amazingly smooshy fabric. Absolutely perfect for scarves, and intricate charted patterns – floats are a non-issue! The pattern journeys through books and beakers, gears and pipes, swirls and filigree. Take one chart element and makes some gloves, or repeat your favorite parts into a scarf design all your own. I hope this pattern takes you to you a place that’s perhaps a little mad, but quite inspired. A lovely fall evening to you my colleagues! Now that we’ve concluded our multi-part lace shawl adventure, it’s about time to highlight another fabulous Lady who will be featured in the upcoming book. 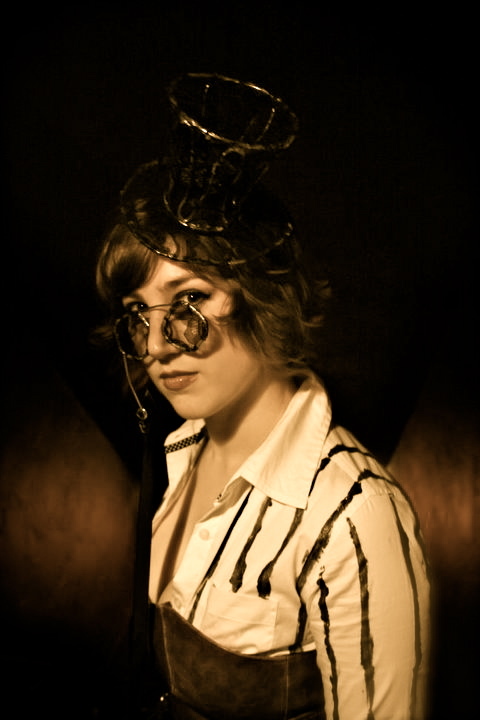 Dr. Melanogaster is the Lady’s resident (semi-)mad scientist: a brilliant botanical and clockwork researcher whose laboratory mishap gave an extra twist to her already eccentric personality. She often puts her work above all else (even her health and safety), much to the chagrin of her dear friends. Fortunately, they tempt her out of the lab often enough to socialize and offer her unique insights on their latest endeavors – whether domestic, mechanical or sartorial. And I would also like to take a moment to mention that the Ladies Of Mischief Archival Blog Project has recently passed the One Year mark! Oh, what we’ve learned and shared in a year; I can hardly imagine my life without these outstanding Ladies being a part of it. I sincerely hope you’ve enjoyed the Adventure so far, and are as excited as I am for what the next year will bring! Greetings my colleagues! I hope you had a lovely Mother’s Day last Sunday. Sorry I didn’t check in, but I needed some extra time to prepare this next update. And what a find I have for you! Tucked away in a small compartment in the trunk, I found a lovely and well-preserved portrait of none other than Dr. Erma Melanogaster! I was able to identify her by an exciting an illuminating tale, written in her own hand, attached to the back. And it is my great pleasure to share both of them with you now. Where to begin? The beginning, I suppose, is most appropriate. It will certainly make the most sense for those unfamiliar with this story, or portions of it. Well, it seems that’s settled then. The beginning! I was tinkering away in my lab in a most usual fashion for myself; in this particular instance that involved affixing a tiny clockwork timing mechanism to the circuitry panel and power source for one of the greenhouses. The power source itself is the very compound being produced by the plants in the very greenhouses whose environmental regulation is powered by the compound! And that is what we call An Elegant Experiment. Elegant. As mentioned, I was soldering away (soldering, not soldiering, though one must soldier through research occasionally) when I turned for a brief moment to adjust the flame on a burner. Well, a brief moment is all it takes for a sudden and unexpected Ka-Blooey! and the next thing one knows, one is regaining consciousness on the floor of one’s lab. The One in this case being none other than myself, an experience I would not readily wish on anyOne. So there I found myself, knocked entirely backwards, lab stool and all, on the floor. I began a quick assessment of my well-being whilst simultaneously returning to the upright and seated position to which I am accustomed. I was, fortunately, successful in both endeavors, and soon found myself to be in proper spatial orientation and (mostly) good health. As expected, I was sporting the “Erma tried to blow herself up again” makeup/coiffure the Ladies are familiar with, complete with the ringing ears and slight dizziness that so often accompany it. Slightly more unexpected, however, was the small gash under my mandible (just west of my windpipe, jugular, and other important bits, thank goodness), which upon gentle probing proved to be quite deep. Unable to ascertain just how far my little puncture wound went by surface examination, I fired up my old Proprietary Scanning Device and took a few quick snaps of the contents of my head (accidental experimentation – it doesn’t count!) All the cranial essentials appeared present and intact, but with the unsettling addition of a new component. Quite incredulous, I hastened back to my workbench to take stock: soldering iron, exploded burner, forceps, circuit panel, wires… surely I was just overlooking it… but an exhaustive search of the bench and nearby blast radius confirmed what the scans had shown: the wee clockwork mechanism, along with an ample power reserve, was now quite happily lodged in my left temporal lobe. Yes indeed. I was initially quite alarmed at the notion of going through life with a clockwork mechanism embedded in my brain, and attempted to remove it myself (as one would do). Alas, those slim odds that allowed my survival ensured that moving the object would prove decidedly catastrophic. And I rather like my brain functioning, thank you very much. I was able to discover, however, that the explosion severely damaged the timing mechanism, which now only activates sporadically rather than on the circadian cycle to which it was originally constructed. Good news, as I have also discovered that the activation of the mechanism results in a temporary dramatic decrease in fear response, inhibition, and emotional control! Ha ha! Ha. Um… yes. I am learning to live with the effects, as are those around me, as it doesn’t appear I have any alternative. Fortunately, the occurrences are few and far between, and tend to only last a short while. Still, all the more reason to continue my research on the compound and determine just how long the power source might last. Though being a natural compound, I can only speculate as to how it might interact with the human brain. Fingers crossed it doesn’t extend its viability indefinitely! And that, dear friends, is my story, in my own words, as you have so often requested. The moral? Oh, perhaps something like: a watched pot never boils, but take your eye off your experiment for a second and it’ll explode and nearly kill you? Yes, that sounds about right. What a story! And what a delightfully eccentric Lady she turned out to be. It’s wonderful to have some more information on her and her research at last, since we’d had just two brief references previously. I sincerely hope there were no additional effects from her accident! And there’s yet another thing to add to my search list: find out if she ever found a “cure” for her new clockwork brain. Though it sounds as though the other Ladies were looking out for her whenever she got too caught up in her academic pursuits. I’m sure I have no idea what that might be like. Fortunately, there are very few explosions in my field of study. Happy New Year’s Eve, my colleagues! Not much time to post, as I have to run off to a party soon, but I couldn’t leave without sharing a final 2010 tidbit with you. 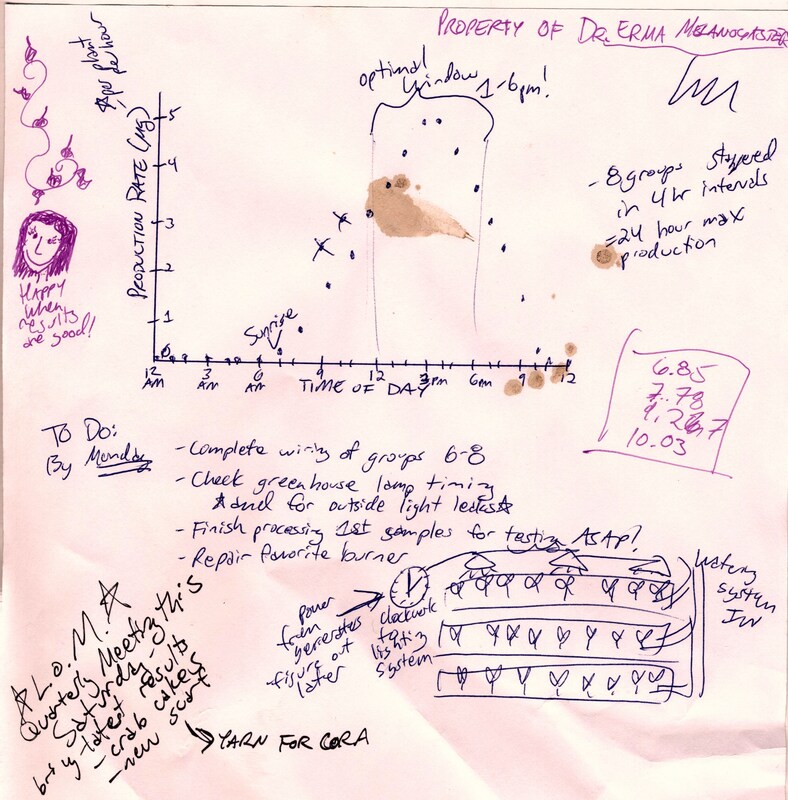 It appears to be a page of lab notes from a Dr. Erma Melanogaster, with some interesting scientific observations as well as a few personal memos. I do love some good science (though her note taking is a bit absentminded for my tastes.) She appears to be researching a plant compound, and setting up greenhouses on different light cycles for continuous production. Quite fascinating! But even more interesting is the note in the bottom left – I can only assume the L.O.M is our Ladies of Mischief, and the “yarn for Cora” would be Coraline Hackworth – for a lace kerchief perhaps? But now I’m craving crab cakes, so I’d best head out to my party. 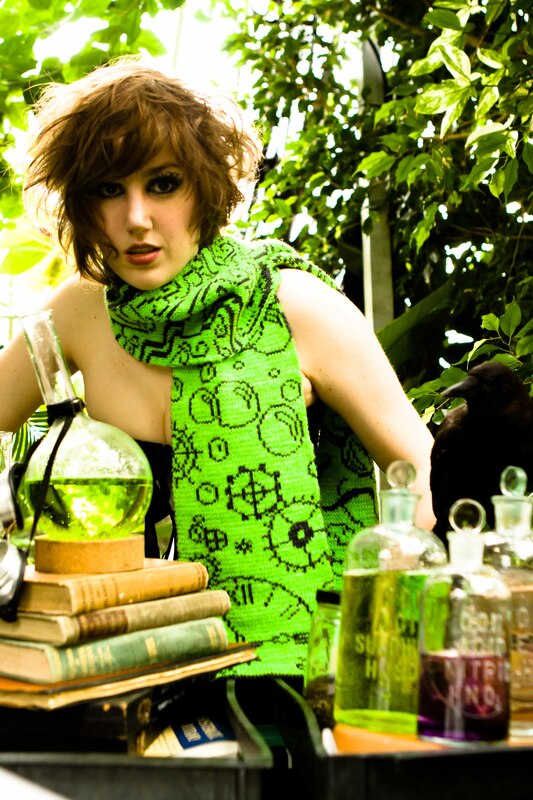 A mischievous New Year to you all – and stay tuned for many more adventures in 2011!